Halloween is one of my favorite holidays to decorate for. Halloween lends itself to fun lights and displays that you just don’t get to do with other holidays. I love making crafts that light up to display on our porch Halloween night for all of the Trick-or-Treaters. 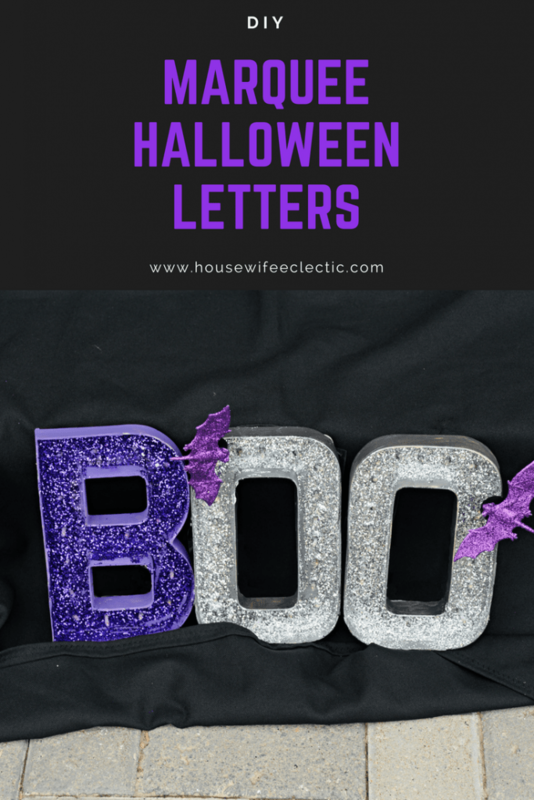 These DIY Marquee Letters are incredibly easy to make and they are gorgeous and glittery, perfect for Halloween. I went with purple and silver but you can go traditional orange and black too! 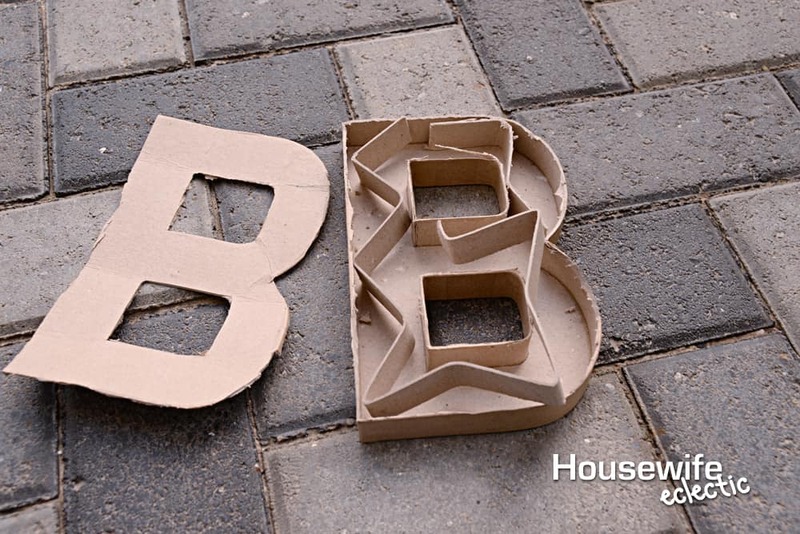 The possibilities are endless when it comes to your letters too. 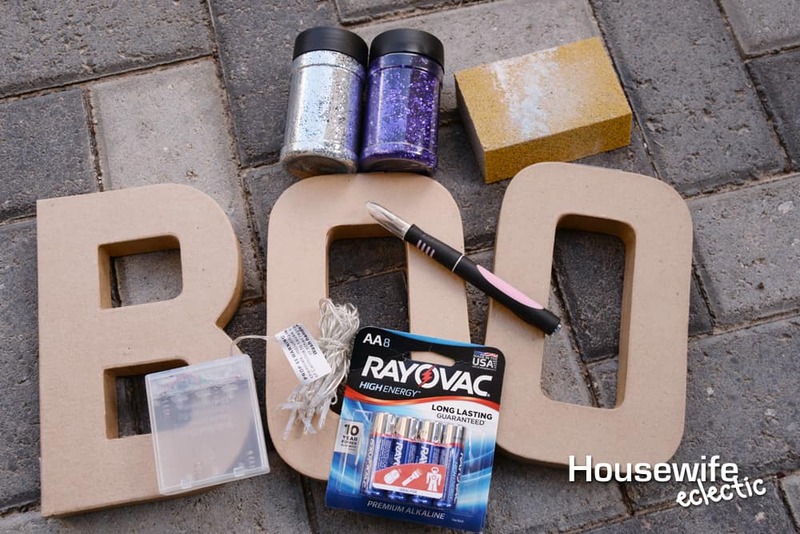 You can make letters that say BOO, EEK, Witch or if you want something longer even Halloween. 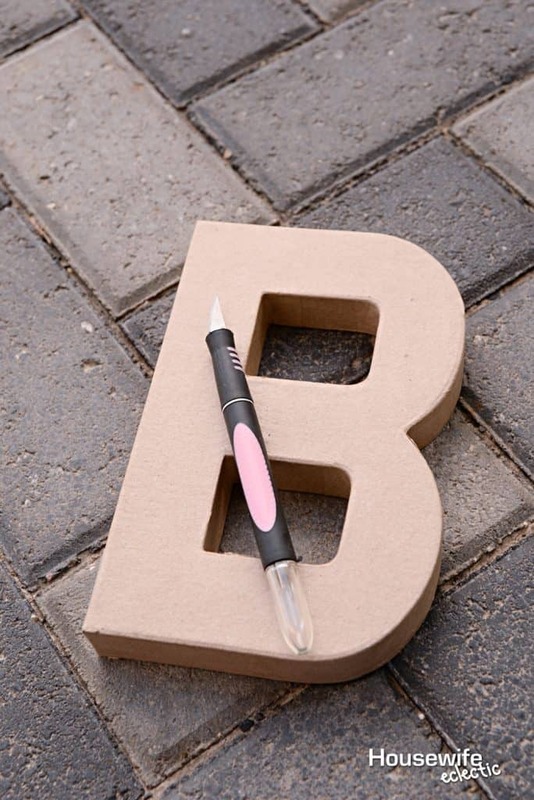 A lot of the things you need for these letter are basic crafting supplies that you can find at Walmart. 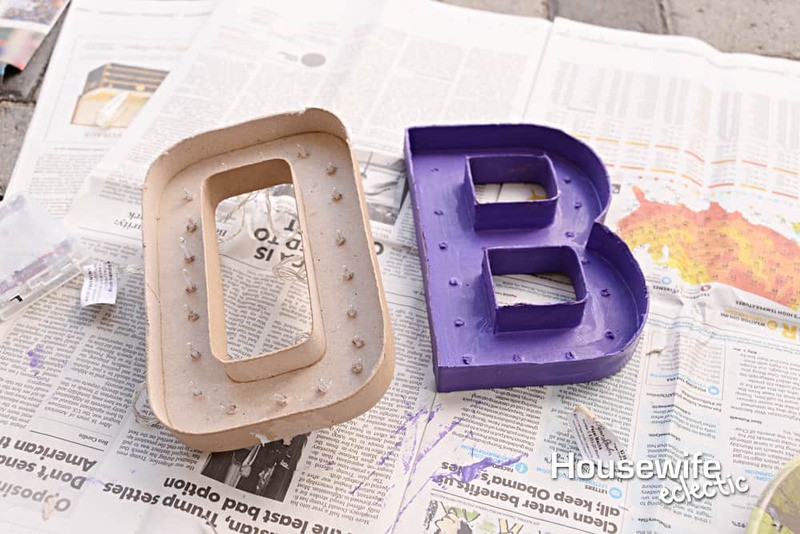 Slice the paper mache letter around the sides, staying as close to the top of the letter as possible. You want to remove the front of the letter leaving as much as you can of the sides. I have found that if you make a slit, you can pop off the entire front of the letter at the seam without cutting around the letter. Once you have cut completely around the letter, pull the front part of the letter off and remove the insides of the letter. Use an awl or a knife to pierce small holes through the letter. You want the holes just big enough for your lights to fit through. If you make the holes too big, the lights won’t stay in the holes. Add the lights every inch or so, all the way around the letter. You want to add the lights before you paint in case punch holes through the letter ruins the paint. 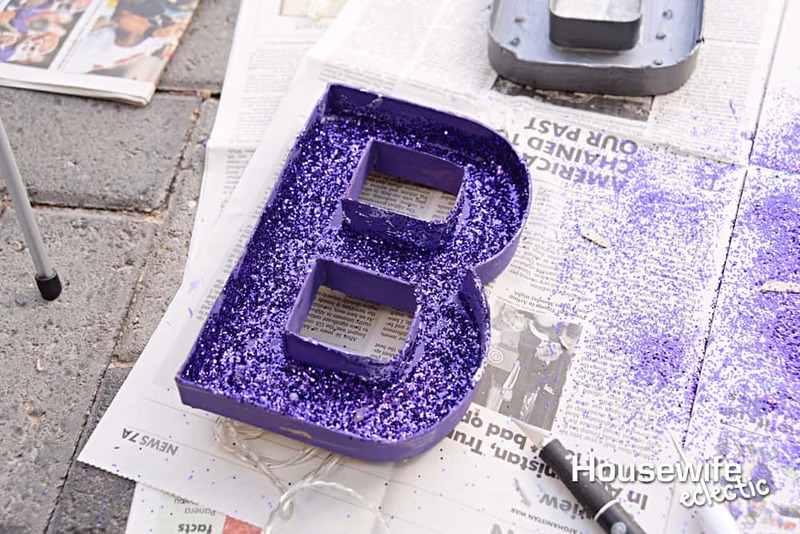 After you have added the lights, remove them and paint your letter in your desired color. After your letter has dried, cover the inside of the letter in a thin layer of glue and sprinkle glitter all over the letter. Shake off the excess glitter. Repeat for your other letters. I used purple paint and purple glitter for my b and silver paint and glitter for the Os. After the glitter has dried, put the lights back into your letters from the back of the letter. Tape down the wires to the back of the letters so you won’t see them through the letter. Then add your batteries and turn on the lights! When I am making crafts that need battery power, I always purchase RAYOVAC®. I love that they are produced right here in the USA in Fennimore, WI, Except 9V. I love their power guarantee (their batteries hold power for 10 years in storage) so I can feel good about buying a bunch at once and they are Guaranteed to provide long lasting power in high use devices* The best part about buying RAYOVAC®? They last as long as their competitors for CHEAPER! RAYOVAC® has different batteries for your different needs. RAYOVAC® HIGH ENERGY™ or RAYOVAC ® Recharge are perfect for flashlights, computer mice and toys. RAYOVAC® FUSION™ or RAYOVAC® Recharge Plus are the best choice for headphones, gaming accessories, remote control cars, drones/helicopters. RAYOVAC® Lithium works great for flashlights, home security systems and hunting accessories. While RAYOVAC® Electronic should be your go to for watches, toys, calculators, medical devices, and more. I bought both RAYOVAC® HIGH ENERGY™ and RAYOVAC® FUSION™ and they are powering the lights in these marquee letters perfectly! 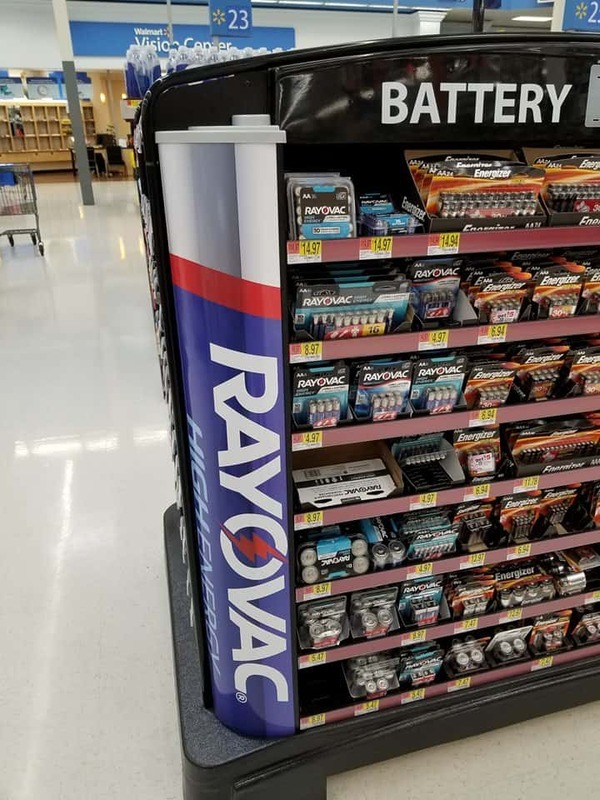 Right now you can head to Walmart and buy RAYOVAC® batteries and get a deal! Print a 50 Cents off coupon here or use this Ibotta offer to get $2.00 back on your purchase of two packs. 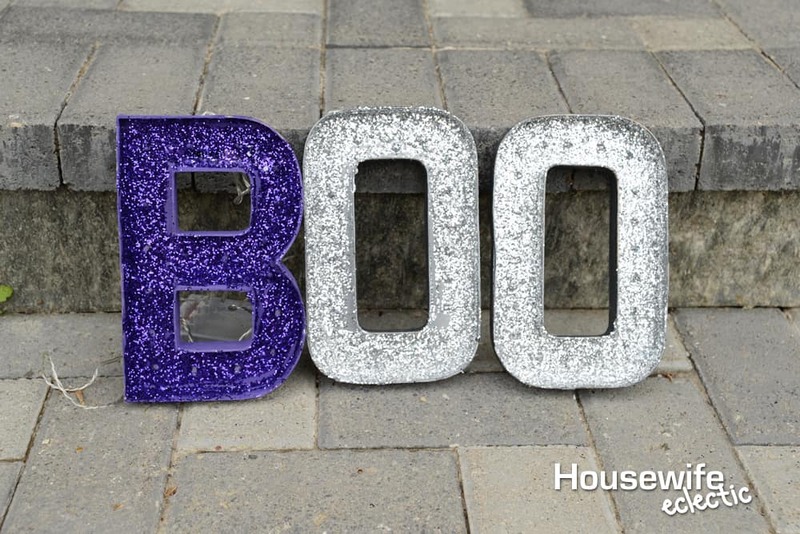 After you have added your batteries, stand your letters on your mantel or other surface for glittery lit up perfection! What crafts do you make that need power? Those are absolutely gorgeous! I love the way they came out. They would go perfectly in my house. How fun is this??? Halloween is always a fun holiday to decorate for :). 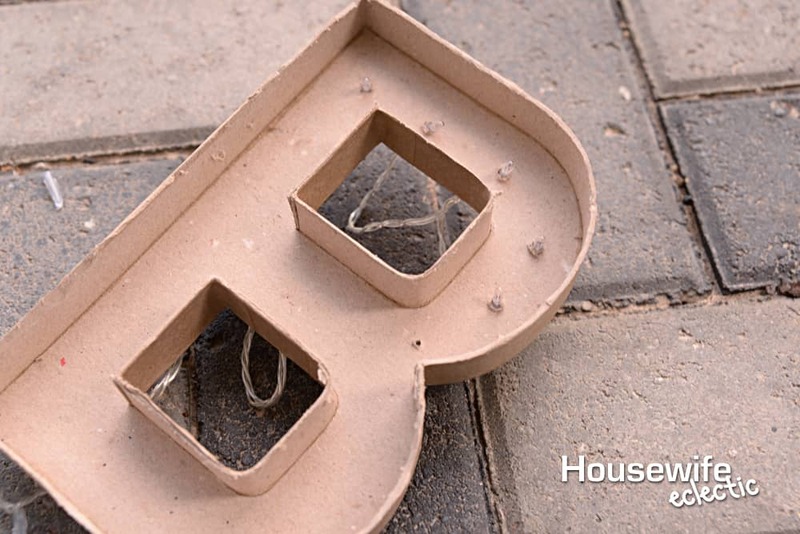 These Marquee letters would be perfect for window decorations! Great job on those letters. They look so fun and festive. They look like you bought them from the store! Your marquee style letters are amazing and so clever! I would have never thought to do this and it really takes Halloween decor up a notch. What a cool idea! I need to do this with my daughter. She’d have so much fun! 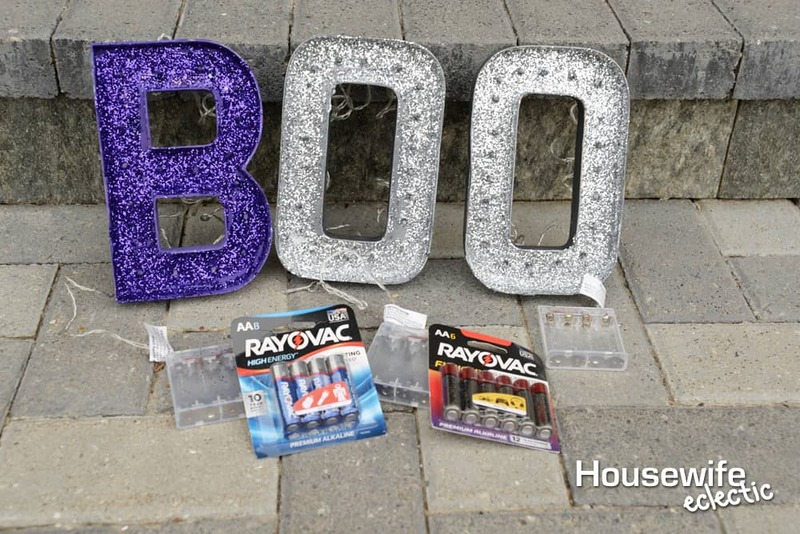 We don’t craft a lot with items that may need batteries but they are a must for our battery-powered lights for our Halloween decorations. These are great! I would have never thought to make something like this. I would have totally bought them already done. But this gives me all sorts of ideas for other words! Those letters look terrific, you did a great job! They’re perfect for a mantel, you could easily change these up for other holidays as well. These turned out so cute. I need to get a jump on decorating my house for Halloween already. I agree! Love Halloween. It’s so much fun to decorate for. This looks like a great project. This is such a cute idea! I love it! I see these letters all of the time when at the craft store but never was inspired until now. Thank you! Now that’s a craft I’d really enjoy making and I don’t have to ask the kids if they’d enjoy it because I know they would. I’ve never made these but have always wanted to do my initials. Boo would be super cute too, especially this time of year. These are so cute! I do this for Christmas, but Halloween is a great one too. This is so cute and easy to make. i can’t wait to decorate for Halloween! These are so cute! I have a ledge in my living room that these would be perfect for, so the girls and I have a craft project! Wow! That’s awesome! 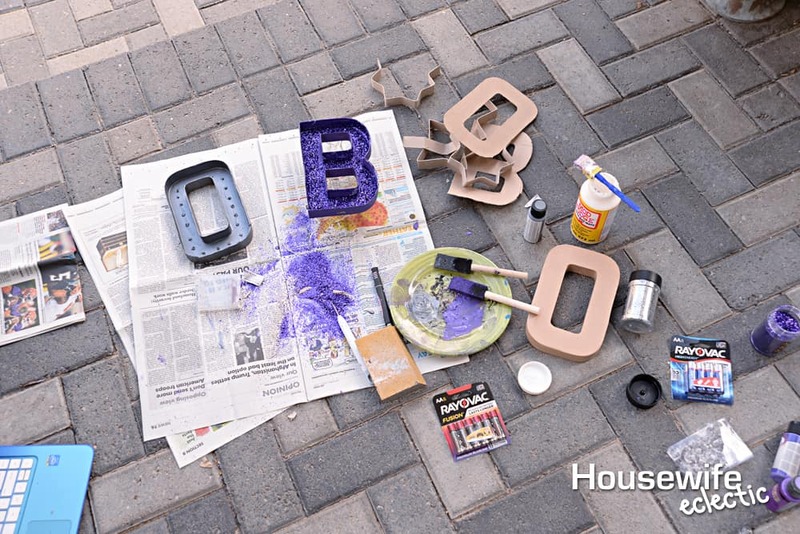 I know I don’t have crafty little hands but this marquee letters craft is fantastic! That would really make a great Halloween decor!